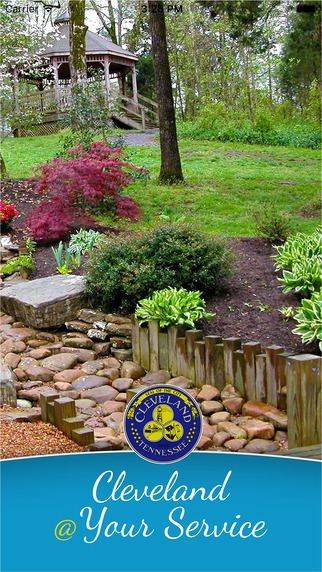 The City of Cleveland has launched its first ever mobile application (app) called "Cleveland @ Your Service". Recognizing the rapid increase in the use of smart phones and tablets, the app will better connect residents and visitors with the services that our city provides. The app allows easy access to information including the city's website and social media accounts. The mobile app streamlines the process of submitting a service request to the City. For example, See a pothole? Pass by graffiti on the Greenway? Notice a broken swing at Tinsley Park? Flooding concerns? "Cleveland @ Your Service" users can quickly and easily report issues to the City. The app will then automatically route the request to the appropriate department. App users are also able to review the status of their requests. Once submitted, requests are logged in the citizen request management system so issues are never lost or forgotten. Requests that are received but have not made progress over a certain time period are escalated to the department head. The citizen request system currently integrates with Google Maps providing key information to City staff as to the location of the issues. Information technology staff is currently in the process of integrating the system with the City's mapping. The service request data will also be used to ensure efficient delivery of City services. The "Cleveland @ Your Service" app is FREE for users through the Apple App Store and Google Play. The app is supported on both iOS and Android operating systems. The City will continue to accept requests made via telephone at (423) 472-4551.